I was wandering through a local antique shop a few years ago when I saw this gorgeous old spear tip; not at all museum quality, but obviously well-worn and well-storied. The booth was held by a local archaeology student making extra money dealing in antiquities, and between the information he gave me, and further research, the best guess is that it’s from the 19th century and either of Zulu or Maasai origin. I went about collecting just the right materials to turn it into a knife. 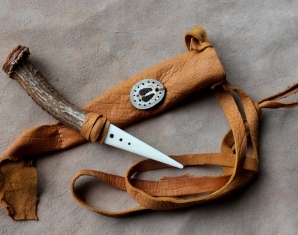 The handle is a male springbok horn with a gorgeous curve to it, which I painted with a series of white dots against the rough, dark brown surface. 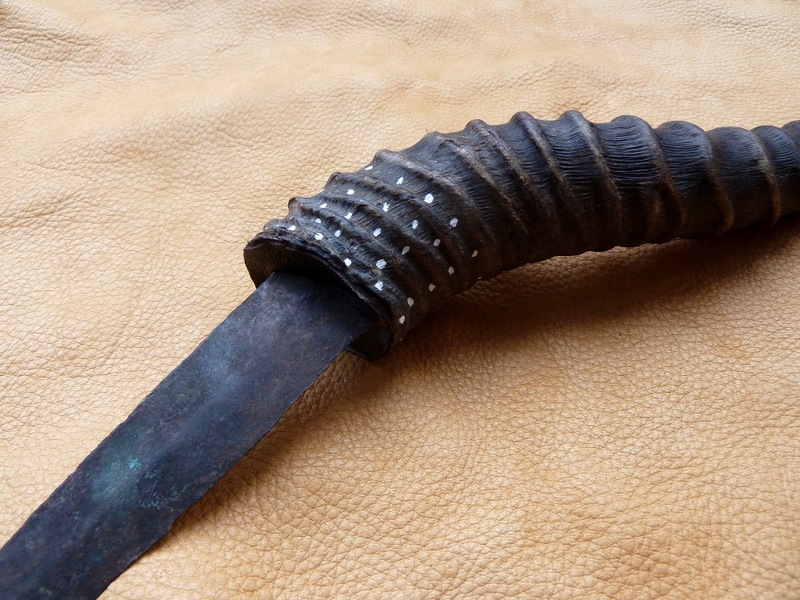 The hilt is covered in leather from an old coat, and the sheath is made of the same. 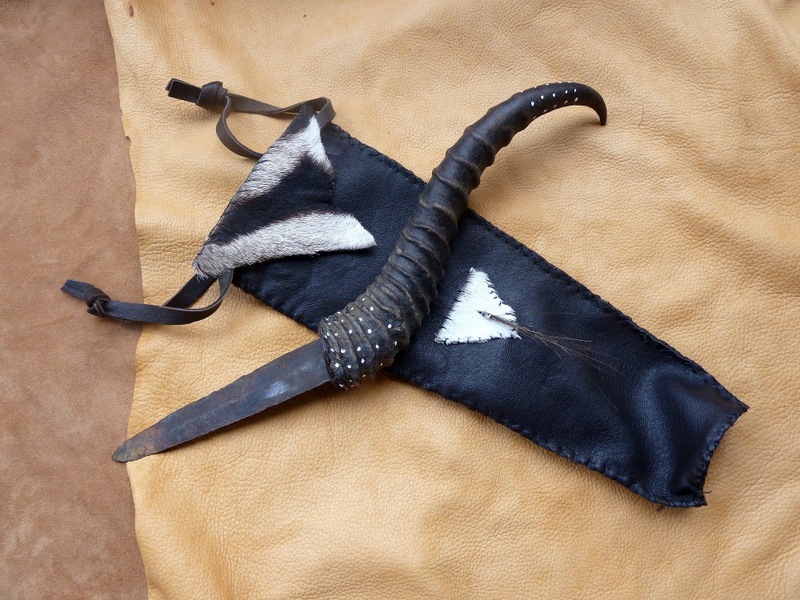 The bottom of the sheath is lined with a piece of heavy tooling leather; while the blade is no longer perfectly sharp it still has enough of an edge and weight that it needed something durable but flexible to rest on. 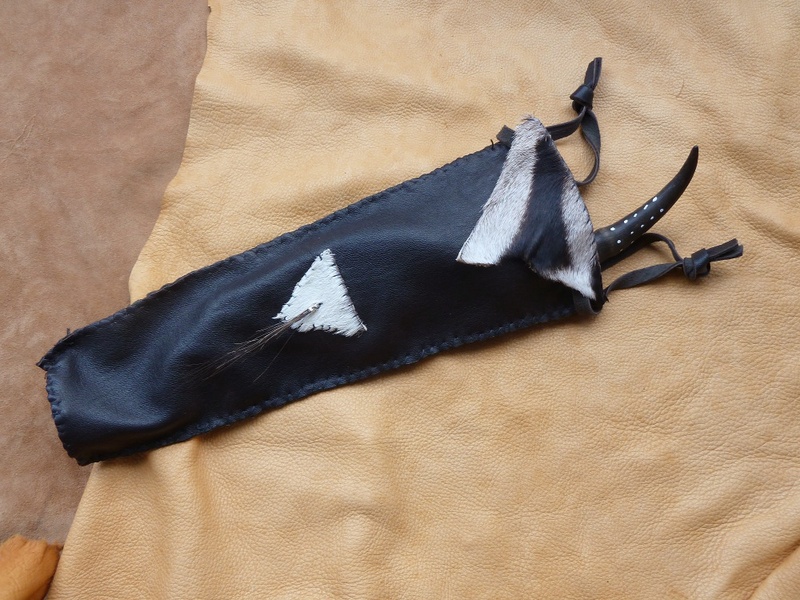 I also decorated the sheath with two pieces of genuine zebra hide from a taxidermist’s scraps. 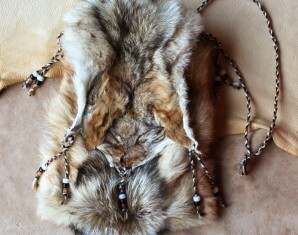 The smaller piece has a tassel of zebra hair that I made stitched to it. 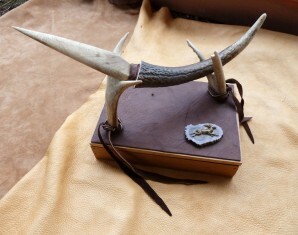 The sheath may be worn with two generously-sized leather belt loops. 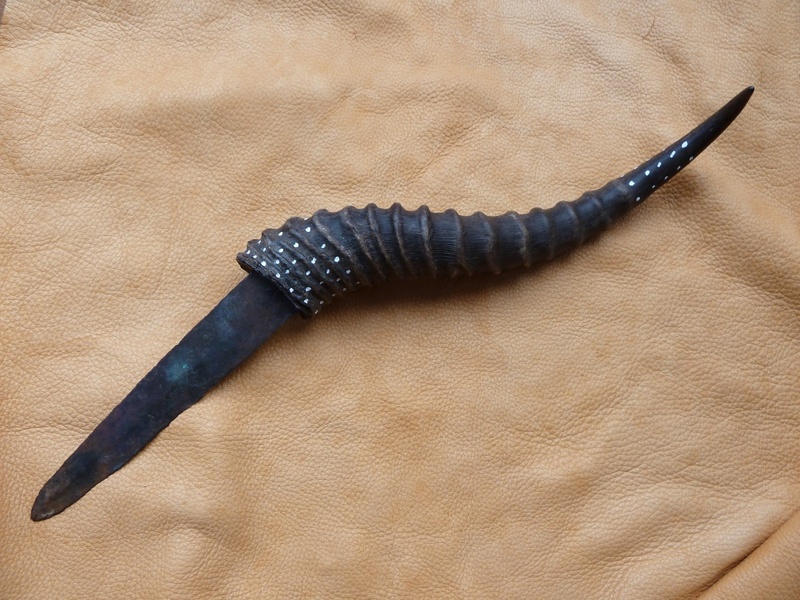 This is not a knife for hunting or other practical use; I have created this piece with the specific intent of ritual use. The spear tip very likely shed blood at some point in its life, and I wanted to rebirth it in a way that gave honor to its past while also offering it a more peaceable future. There is a grand tradition throughout cultures worldwide of repurposing weaponry, including broken weapons. I’m most familiar with medieval European weaponry–a broken longsword, for example, could be reforged into a short sword or large dagger. Surely others have done the same in other places and other times. So I am choosing to follow in this tradition.